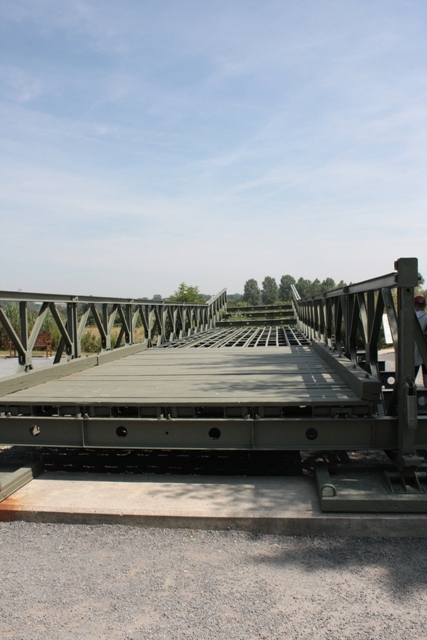 The taking of Pegasus Bridge was a D-Day objective in 1944, successfully achieved by a unit of the British 6th Airborne Division who landed in Horsa gliders. The original bridge has been replaced by another in the same style, but is kept at the nearby display and museum. You can read more about our travels in France here. Posted in response to Cee’s Fun Foto Challenge. We saw this several years ago.